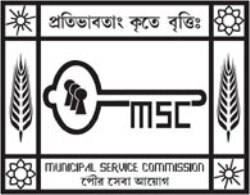 Municipal Service Commission West Bengal - MSCWB published an official notification for Recruitment of Junior Engineer for 150 posts. Eligible candidates can apply for this recruitment. You can view more details about this recruitment including No. of posts, name of post, Educational qualification, Age limit, Selection process, How to apply etc... You can also view official notification and other important facts about this recruitment e.g. Important links and Important dates. Diploma in Civil Engineering from any recognized Polytechnic I Institution approved by AICTE with a minimum of 60% marks or equivalent grade with at least 01 (one) year experience in Construction / Supervision / Management / O & M after obtaining diploma. Diploma in Mechanical Engineering from any recognized Polytechnic I Institution approved by AICTE with a minimum of 60% marks or equivalent grade with at least 01 (one) year experience in Construction / Supervision / Management / 0 & M after obtaining diploma. Diploma in Electrical Engineering from any recognized Polytechnic I Institution approved by AICTE with a minimum of 60% marks or equivalent grade with at least 01 (one) year experience in Construction / Supervision / Management / 0 & M after obtaining diploma.